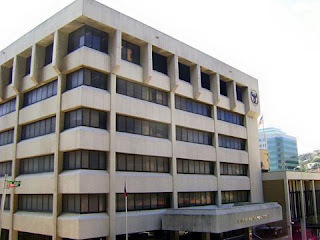 The Bank of Papua New Guinea is set to introduce several other legislations aimed at supporting E-business in the country. Pidik said the National Payments System Act 2013 was already in play to support digital finances services in the country. “BPNG will continue to ensure that all key aspects of the digital financial services framework are in place in order to support payments either through mobile phones or electronic cards. “This will also require collaborative work with other organisations such as the National Information Communication Technology Authority (NICTA) and Independent Consumer and Competition Commission (ICCC) and payment service providers such as commercial banks,” Ellison said. A key aspect that Ellison had highlighted in his presentation on the National Payments system was the impact and future implications that the Kina Automated Transfer System has and would have in PNG. He had said from the outset that the KATS system in operation in the country is world class and would eventually see the phasing out of physical cheques. He explained the system is a real time gross settlement system which had been implemented in 2014. He added that it had reduced the clearing time as of January 2016 to just three-days and as of January 2017 further reduced to a mere two-days. “The national payments system is one of the legislative frame works in place and we need the infrastructure and environment where the system can work including KATS. “KATS is a real time system that ensures cheques are cleared immediately in an hour or two or a day which is convenient for both the bank and the customers. At this stage and for purposes of risk management we are allowing for three days time for this to be cleared now reduced to two days, there are good reasons for that as we get the impact of electronic banking. That is an important base, then you can move from physical cheques to direct credits and direct debits in future. This is an important phase and we eventually will get rid of the physical cheques. I think that is the way forward," he said. He said with this set to happen, customer and the bank’s relationships will become increasingly important. “We are encouraging the public at large to learn to create a good relationship with your banks and create a good transparent relationship that will help you with your banking needs,” he added.